Snoop Dogg | The Music Snobs! 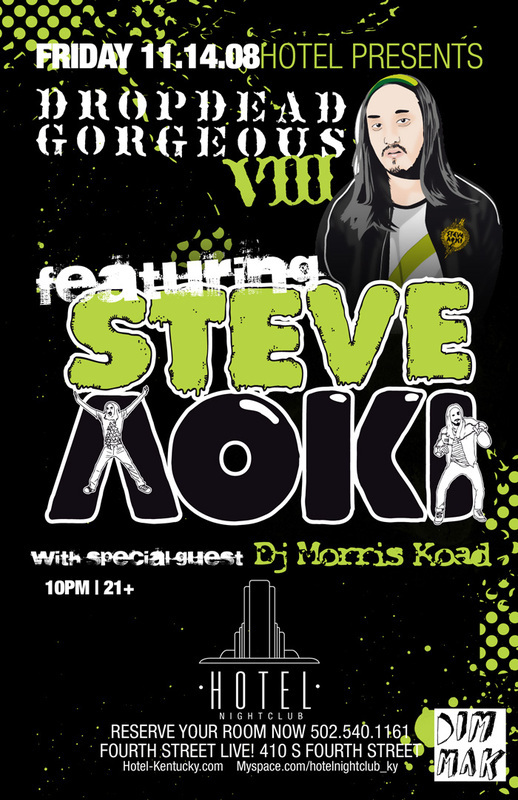 Like the title says, Steve Aoki will be at the Louisville club, Hotel, this Friday. Morris Koad will also be spinning from Louisville House Music. He’s definitely someone to check out if you are into electronic music. Peep the links below. (For VIP reservations, call Daniel Cole at 502.548.4082 or Ellen Hagans at 859.539.